It’s been a sleepless few days of reviewing. I saw Hail, Caesar! the other night and I still haven’t decided what to make of it. Upon exiting the cinema my initial response was one of apathy and indifference, but the more I ponder the classic Hollywood pastiche the more I begin to see the Coen’s subtle genius. On one level Hail, Caesar! is a very clever sideways looks at the magical power of cinema and the less than glamorous mechanics that bring these waking dreams to life. But, and it’s a debilitating stipulation, the film is also a fragmented highlight reel of ‘50s filmmaking with no real connecting thread beyond the fact it promotes the Coen’s smug self-indulgence. The Coen brothers are clearly very clever and knowledgeable guys, not just as eminent cinephiles, but at times Hail, Caesar! feels a lot like Hail, Coen!. 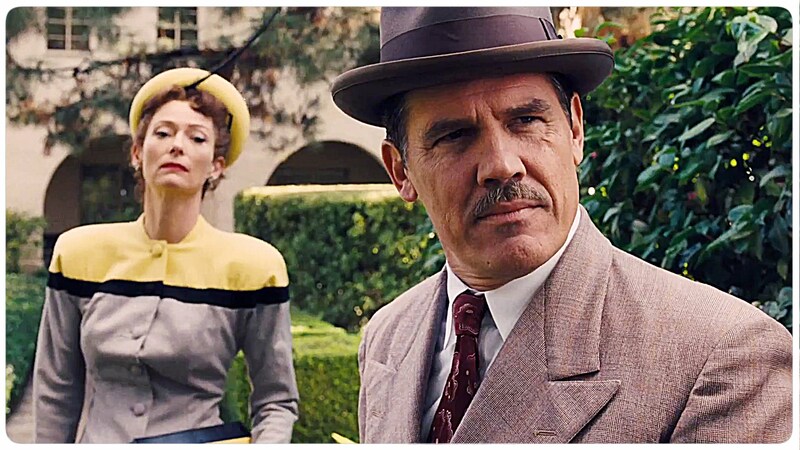 Eddie Mannix (Josh Brolin) is a problem solver. His title is Head of Physical Production at Capitol Pictures, but really he’s a glorified fixer – and my word does he have a lot on his plate. Prized synchronised swimmer DeeAnna Moran’s (Scarlett Johansson) wholesome, innocent image is in jeopardy courtesy of a less than immaculate conception; limited but loved cowboy Hobie Doyle (Alden Ehrenreich) is enraging his European director Laurence Laurentz (Ralph Fiennes) with an imposed career move to ballroom melodramas, and twin sister gossip columnists Thora and Thessaly Thacker (Tilda Swinton) are threatening to expose studio secrets. To top it all off, Kirk-Douglas-come-Charlton-Heston style megastar Baird Whitlock (George Clooney) has been kidnapped by communists, or as they’re wishfully known ‘The Future’, throwing prestige picture, Hail, Caesar! into turmoil. The Coen brothers have tackled most genres in their prolific career; gangster, Western, musical, Ealing comedy and noir. Even films about filmmaking have been ticked off via Barton Fink, which also takes place at the fictional Capitol Pictures. Yet unlike dark Hollywood exposes Sunset Boulevard, Day of the Locust or even Barton Fink, Hail, Caesar! entwines the paradoxical duality of cinema. The Coen’s act to make us fully aware of both the filmmaking process and the end result. The loose narrative, which essentially boils down to a day in the life of Eddie Mannix, is interjected with exceptionally authentic scenes of homage to Hollywood. These include a brilliantly camp musical number courtesy of a tap dancing Channing Tatum as well as an Esther Williams inspired bout of graceful synchronised swimming. These sequences bring a childlike amazement via their bright, bold and gaudy designs. Yet, just as we’re taken in by these magnetic recreations they’re suddenly pulled from under our nose. The frivolous escapism of film is constantly interrupted by grounding reality; pregnancy cover ups and forgotten lines. This paradox is never more apparent than during a brief scene in the editing room. Mannix is watching the initial footage for a ballroom melodrama when the film suddenly sticks and burns up. The immersive illusion is shattered by editor Frances McDormand’s groans as she chokes on her scarf now entangled in the machine. All is not as it seems in the idyllic visions of Tinsel Town’s studio lots. It may be portrayed in comic parody, never more so than in Hobie Doyle’s inability to grasp his debonair director’s tongue twisting line, but the laughs hide a rather bleak view of the film industry. Bar the earnest innocence of Doyle, a performance that’s sure to fast track Ehrenreich’s career, every other character appears to be morally corrupt and ethically questionable. Even the zealous Mannix resorts to violence, albeit empathic slapping, when needs must. The black comedy makes the sordid dealings palatable, yet the ubiquitous corruption perforates enough to shine through the façade of pristine pictures. For all its clever imagery and diligent craft, Hail, Caesar! suffers from all amount of frenetic dealings. Rather than performances there is a conveyer belt of high profile cameos. Even A-listers Johansson; Fiennes, once again excelling in a comic role; and Clooney, who barely thrusts out of first gear, aren’t granted more than their fifteen minutes of fame. The schizophrenic nature of the film, both performances and sequences, doesn’t contribute to a coherent narrative. The Coen brothers have always revelled in forgoing linear narratives, but this time round it only leads to an increasingly flat spectacle. 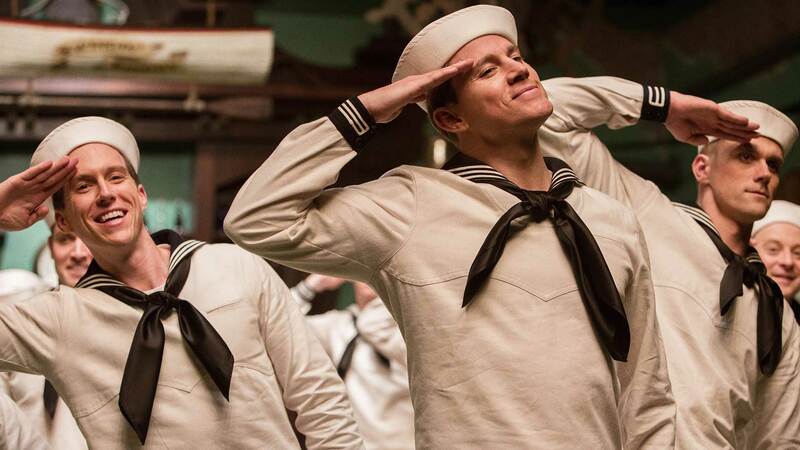 There are some truly memorable sequences on show, but never does Hail, Caesar! threaten to usurp the sum of its parts. My biggest gripe with Hail, Caesar! is an issue intrinsic to the Coen brothers’ style. With everything about Capitol Pictures lifted from cinema’s own history much of the humour and intrigue is built on in-jokes. Of course, if you aren’t an aficionado of classic Hollywood these jokes won’t mean a whole lot. Tilda Swinton’s whole gag, a wry mimicking of duelling gossip columnists Hedda Hopper and Louella Parsons, stutters without such knowledge. Similarly, the kidnapping story flounders into an indecipherable joke about disordered communist screenwriters. At one point the communists sit round squabbling over political theory, eventually resorting to a din of empty conflicting catchphrases, while the kidnapped Baird Whitlock watches on totally bemused. At these times Hail, Caesar! feels like an exercise in the Coen brothers reminding us how clever they are. Too often we’re Baird Whitlock, the bemused onlooker. Perhaps the great allure of the Coen brothers’ films is that there are no easy answers or certainties. Hail, Caesar! is a film that’s left me divided and perplexed like few do. Good? Bad? Would that it were so simple. While I can appreciate the clever craftsmanship of the Coens, I can’t feign adoration for the film itself. 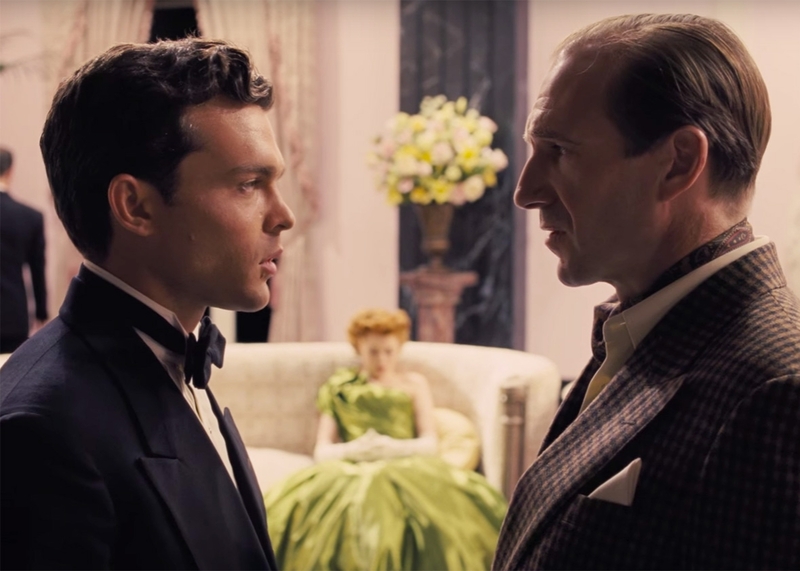 There’s a debate to be had, with Hail, Caesar! at its core, about whether great filmmaking can exist in a not particularly great film. If there’s one thing I and the Coens can agree on with Hail Caesar! it’s that cinema is a religious experience and filmmaking is the ultimate sacrifice. Mannix says it best when he preaches to Baird Whitlock : “You’re going it to go out there and finish Hail, Caesar!…You’ll do it because the picture has worth and you have worth if you serve the picture”. Amen brother.